EGRC supports ethical and honest breeders who are striving to improve and perfect Golden Retrievers. Our club has some of the best breeders in the country, and we are happy to try to match new owners with great dogs. 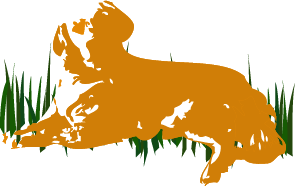 Please explore the resource links below for more detailed information on choosing a Golden Retriever puppy or adult dog. Good luck in your search for a beautiful and intelligent friend! If you have decided on a Golden Retriever but feel an adult would be a better choice for your family, we refer you to "Evergreen Golden Retriever Rescue". You can visit their web site at http://www.egrr.net . To be considered for the inclusion to the Breeders List, members must meet the criteria that have been set forth by the EGRC Breeders List Committee. Important: The Evergreen Golden Retriever Club assumes no responsibility for any of the breeders on the referral list, nor for any puppies or dogs they may produce or sell, nor for any dogs placed by members for adoption. List of Breeders New Puppy Listing! Membership and listing for the Breeders List is January - December and requires annual renewal in January. Club members may join or be removed from the Breeders List at any time during the year. No fees will be refunded for partial year enrollment.